Characters like the one above that tell you a whole lot of information are boring and add no value to the learning experience. It’s even worse if they are used in the same static pose and have no emotion. Would you want to spend your precious time with someone who has one fixed expression and insists on talking lots of information at you? 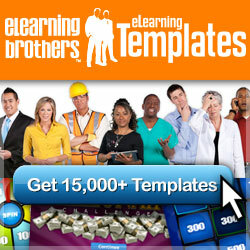 Using characters in elearning is now becoming more prevalent as text based Powerpoint looking elearning decreases. However, it’s not enough to just add characters into a course – they need to be used well. They need to have both purpose and personality. Do your characters have character? 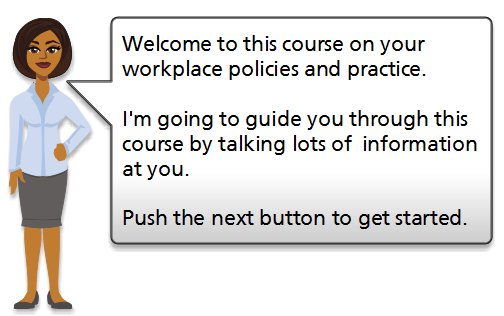 I recently looked at an example course from a company, although it had nice looking graphics and characters, it was immediately obvious that the characters had no ‘character’. They were being used just to “tell content” or narrate information. They were in a static pose and showed no emotion or reaction to any of the content in the course. In fact if the characters were removed from the course it would have had no learning impact as the information could have been “told” without the characters being present at all. Use characters to simulate realistic conversations, thoughts or decision making. Make their conversations (whether written or in audio) sound like what a real person would say in that context. Check with a SME (subject matter expert) if the conversations, thoughts and decisions of your characters’ sound realistic for your audience. Adjust where needed. 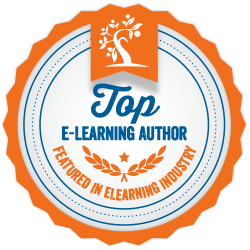 Use your characters to add emotion into your elearning. To do this you will need your characters to display a range of emotions realistic to the context you are giving. If you are using photo images of characters it is often worthwhile to subscribe to a specific elearning stock image site – check out this post. When using illustrated characters make sure that they are either available with different emotions or that you are able to edit them yourself to show a range of emotions. Body language is a strong part of communication. When you have static images of characters use a variety of poses to simulate body language. This movement of different poses will help to give your characters personality and make them seem more realistic. As well as having a variety of poses you can also use different angles and include close-ups, mid-range and full view images of your characters to increase interest. When using characters in elearning make them add value to your learning content. Check that they are active characters where they are part of the content and context rather than passive characters who are just talking content at you. Use the tips above to make sure your characters have character. If you found this post useful follow me to receive notifications for new posts. Right on Lorraine. To me this is an old problem in a new medium as there are plenty of wooden presenters who read PowerPoint and call themselves trainers when they might as well have just given out their notes. The advice you give sounds exactly like the kind of suggestion you’d make to someone working face to face. What I like is that I hadn’t previously considered transferring such ideas to the electronic medium.